This is start of the travelling season of the year so I thought I should put down few points. What are the manners and etiquettes of traveling as Muslims? The first and foremost thing is as you intent to take journey first do ISTEKHARA. Pray two rakat Salat Istekhara. After praying two rakat Nafil Salat then makes following dua and leaves the matter to Allah. If it is good for you then Allah will make is easy, if it is not good then Allah will make it difficult. Don’t wait for Dream or Any other form inclination just start working, if Allah wish the act will be easy or you otherwise it will be difficult and Allah will take care of it. The second step is wasiyat, put all of liabilities and assets and make very clear how it should pay off. It is very important to make it very clear that all must according to Shariah, so please tell your family about it. When one is about to set out on a journey or trip, it is recommended for him to bid farewell to his wife, relatives and Muslim brothers. Ibn Barr said “ when one of you is about to leave for a journey, then let him bid farewell to his brothers, for indeed, Allah places Barkah( Blessings) in their supplications”. Quazah said, “ Ibn Umar RadiAllahunho said to me, ‘ Come let me bid farewell to you in the same manner that the Messenger of Allah Peace be Upon Him bade farewell to me: I place your religion, your faithfulness, and ends of your deeds in trust of Allah. · It is dislike to travel alone. 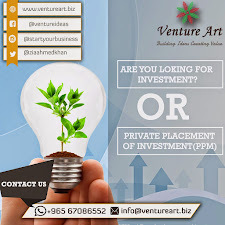 · If A Travel Party Is Made Up Of Three Or More People, It Is Recommended For Them To Appoint One Of Them To Be Their Ameer. · The Prohibition of Taking A Dog or A Bell on A Journey. Commentary: This is a very comprehensive prayer. Man is not safe from dangers during a journey and in his absence, safety of his household may worry him, too. In this prayer, Allah is entreated to ensure the safety of the two in most effective words. And none can harm that person who comes under the Watch and Protection of Allah. This prayer should be recited upon starting on a journey as well as returning from it. Commentary: While climbing up some height, superiority complex may creep into man's head. 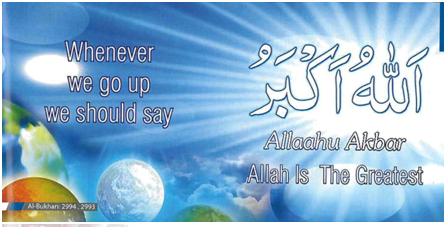 He should, therefore, pronounce Divine greatness saying that Allah is the Greatest of all, the Most High, and all creatures are low and humble and subordinate to Him. On climbing down we should say: "Subhan Allah (Allah is free from imperfection). 980. Abu Hurairah (May Allah be pleased with him) reported: The Messenger of Allah (PBUH) said, "Three supplications are answered without doubt. The supplication of the oppressed, the supplication of the traveler, and the supplication of the parent for his son.'' [At-Tirmidhi and Abu Dawud]. Commentary: This Hadith mentions two dimensions of supplications. First, the supplication of an oppressed person will be in favour of the one who will come to his help and redress his complaint, whereas the oppressor will be hit by his supplication. Second, Allah also answers the father's supplication for his disobedient and impudent son; and the mother's supplication is even more effective than that of the father's because, as compared to him, she has more rights over them. Man should, therefore, restrain himself from disobeying parents, so that he may escape in both cases the supplication which is not rejected by Allah. Commentary: Wherever and whenever we stay, be it at night or in the day time, for a short or long duration, we should recite this supplication. 987. Anas (May Allah be pleased with him) reported: We returned with the Prophet (PBUH) from a journey; and when we entered the suburbs of Al-Madinah, he (PBUH) said: "Ayibuna, ta'ibuna, `abiduna, li-Rabbina hamidun (We are returning in safety, turning to our Rubb, worshipping Him and praising Him).'' 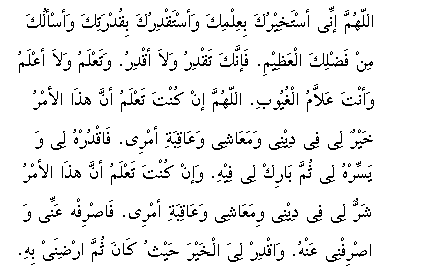 He (PBUH) continued repeating these words till we entered Al-Madinah. Commentary: When one returns from a journey and sees his town's highlights, he should start reciting the invocation mentioned in this Hadith till he enters the city. These words express gratitude to Allah for safe return to one's hometown; they also express repentance, obedience and determination to worship Allah. 988. Ka`b bin Malik (May Allah be pleased with him) reported: Whenever the Messenger of Allah (PBUH) returned from a journey, he would proceed straight to the mosque and perform two Rak`ah of (optional) prayer. Commentary: The performance of two Rak`ah of optional prayer is an expression of gratitude to Allah for the safe return. Naturally, one feels happy on such an occasion. Commentary: This Hadith proves that under no circumstance woman may travel alone. The Shari`ah strictly bans a meeting of this kind between two opposite sexes. Even if nothing objectionable happens, a mischievous person may exploit this situation and talk about them slanderously. Families disregardful of Hijab provide instances of illicit relationship between a man and a woman related to each other. The Fuqaha (Jurists) agree that since Rasulullah Peace Be Upon Him always prayed Qasr Salaat during travel, it is mandatoryfor every Believer to shorten his Salaat during travel. This appliesonly to Zuhr, 'Asr and Isha Salaat, which are reduced from four totwo Rakhat. There is no shortening of Rak'aat in Fajr and Maghrib Salaat. The traveler has the option to offer or not to offer Sunnah and Nafil Salaat. It is recommended that one should offer only Fardhwhen one is actually traveling and should offer Sunnah and Nafilwhen one has settled down at a place. The Fajr Sunnah and Witrshould be offered even during the state of travel. 1. Salaat missed during a journey will have to be shortened even when offered as Qadha Salaat at home. 2. Salaat missed at home will have to be offered in even when offered as Qadha during travel. 3. If a traveler offers the Salaat in congregation, he has to offer Salaat following the Imam. 4. A traveler can lead a congregation Salaat of residents of a place. He should announce before the Salaat that he will offer Qasr Salaat. He will thus complete his Salaat after two Rak 'aat and the residents will then offer two Rak 'aat individually. 1. Most jurists allow a traveler to combine the Zuhr Salaat with 'Asr, and the Maghrib Salaat with Isha during the whole journey. He can combine these Salaat when he is actually traveling and also when he has settled at a place. 2. When the combined Salaat is offered in congregation, it should be preceded by one Azan and two separate Iqamah for each Salaat. 3. No Sunnah or Nafil should be offered between the two Salaat when they are combined together. 4. When combining the two Salaat, it is recommended to delay the first Salaat to its last limit and to offer the second Salaat at its beginning time. Ibn Abbas related that Prophet Peace Be Upon Him used to combine Zuhr and 'Asr Salaat when he was on a journey and he also used to combine Maghrib and Isha Salaat.